A decision is due on budget cuts that could prevent Ramsgate reopening as a ferry port to ease pressure on other routes in the case of a no-deal Brexit. The government handed Seaborne Freight a £13.8m contract to run a service to Ostend, in Belgium, under contingency plans to alleviate any delays at Dover. But the local council is considering cuts to port spending that would make roll-on, roll-off services impossible. Thanet councillors in Kent will vote on the proposed £630,000 cuts later. The council has been pumping money into the port to keep it in a state of readiness for ferry operations. Officials believe extra ferries from Ramsgate would relieve pressure on the Port of Dover in the event a no-deal Brexit leads to an increase in border checks on goods and passengers. They also hope the service would divert traffic away from the M20, which may have to be used as an emergency lorry park if backlogs develop at the border. But the contract with Seaborne to run the service is controversial because it has no ships and has never run a ferry service before. And last month it was discovered that the terms and conditions on its website seemed to have been copied from a takeaway restaurant. 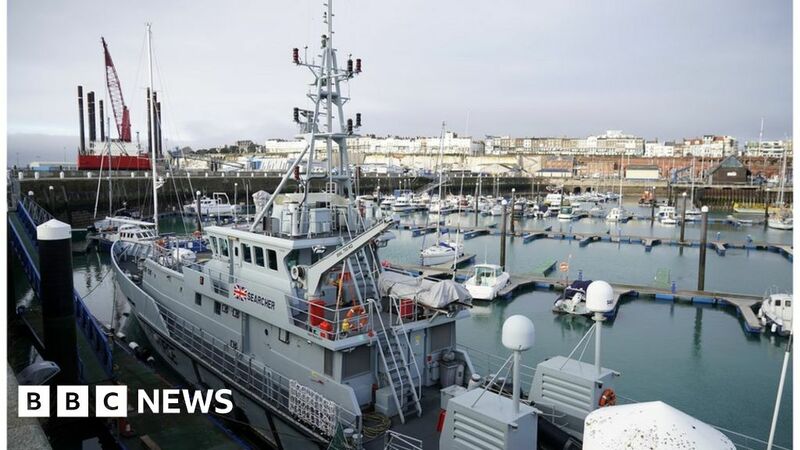 The mayor of Ostend has also said it would be impossible to have a new service up and running by the end of March, although it is believed Seaborne has paid to have Ramsgate harbour dredged so that it can take larger ships. Thanet Council said it had to find large savings to meet its medium-term financial strategy and balance its budget. It added that if a new deal to provide a Ramsgate to Ostend service was not signed, the proposed cuts would be voted on later. Considering the criticism of the deal with Seaborne Freight already, cuts by the council which make it impossible to run the service at all are likely to be very embarrassing for the government. The DfT said it was a recommendation that had been put forward for a decision by councillors as elected members. It added that it continued to have conversations with a number of stakeholders including Thanet Council over any plans to re-establish ferry services at the Port of Ramsgate. Ramsgate last ran a regular ferry service to and from the Continent in 2013. Its harbour can take three roll-on roll-off ferries at a time and it has been keen to restart operations. At the moment the port is mainly being used to support off-shore wind turbines and import cars, but reopening Ramsgate as a major ferry port has been controversial with many residents saying they are concerned about the increase in traffic that it would involve.